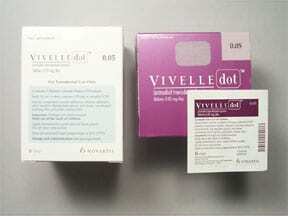 Who should not take Vivelle-Dot Patch, Transdermal Semiweekly? 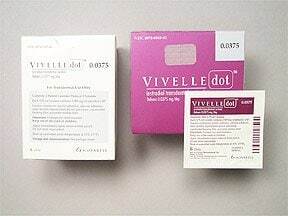 What conditions does Vivelle-Dot Patch, Transdermal Semiweekly treat? 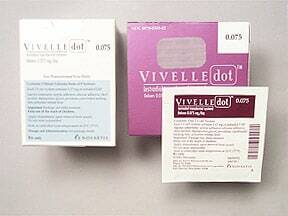 List Vivelle-Dot Patch, Transdermal Semiweekly side effects by likelihood and severity. What should I know regarding pregnancy, nursing and administering Vivelle-Dot Patch, Transdermal Semiweekly to children or the elderly? 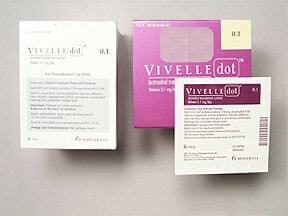 Does Vivelle-Dot Patch, Transdermal Semiweekly interact with other medications? Do not flush medications down the toilet or pour them into a drain unless instructed to do so. Properly discard this product when it is expired or no longer needed (See How to Use section).Information last revised November 2016. Copyright(c) 2016 First Databank, Inc. 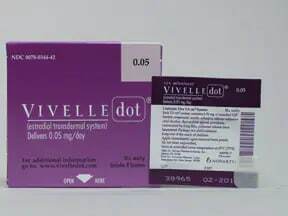 This medicine is a colorless, rectangular, translucent, transdermal system imprinted with "Vivelle-Dot 0.05 mg/day". 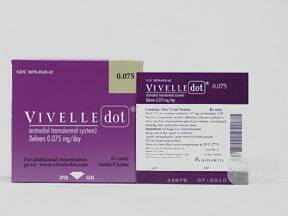 This medicine is a colorless, rectangular, translucent, transdermal system imprinted with "Vivelle-Dot 0.075 mg/day". This medicine is a colorless, rectangular, translucent, transdermal system imprinted with "Vivelle-Dot 0.1 mg/day". 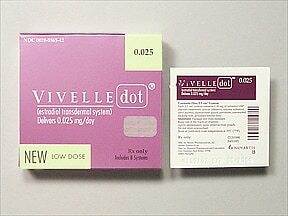 This medicine is a colorless, rectangular, translucent, transdermal system imprinted with "Vivelle-Dot 0.025 mg/day". 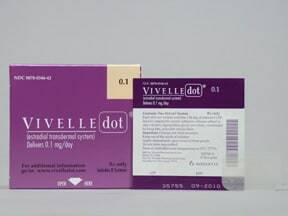 This medicine is a colorless, rectangular, translucent, transdermal system imprinted with "Vivelle-Dot 0.0375 mg/day". 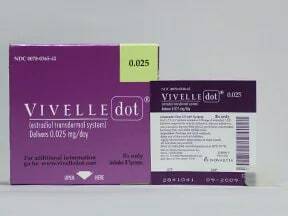 Are you taking Vivelle-Dot Patch, Transdermal Semiweekly? 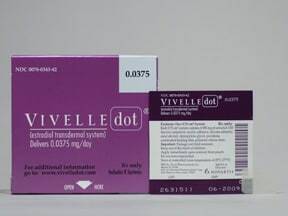 Are you considering switching to Vivelle-Dot Patch, Transdermal Semiweekly? How long have you been taking Vivelle-Dot Patch, Transdermal Semiweekly?